A Democratic state Representative from Philadelphia has been convicted on bribery charges, but has yet to resign, while a Republican state Representative from Lancaster County has been ordered to pay $14,000 for ethics violations. The Republican Congressional Representative from York County is reportedly pushing to lead the House Freedom Caucus and two Philadelphia Democrats are seeking a position on the House Ways and Means Committee. All of that and more are in this week’s Ups and Downs. A former Democratic Attorney General reports to prison, the Lehigh Valley once again has representation in Congress, a Republican candidate for City Council in Philadelphia gets in hot water for some racist Facebook posts and a Lackawanna Democrat finds himself a leadership role in the House. All of that and more are in this week’s Ups and Downs. This year’s voter turnout in Pennsylvania was higher than 2014’s midterms in every county, payrolls reached new record highs, Pennsylvania lawmaker’s get a pay raise, and two Democrats make a push for the DPCC. All of that and more are in this week’s Ups and Downs. The Democrats big night would not have happened without the impact of women on and off the ballot. One Republican Congressman weathered the blue wave and a Democratic Congressman has even more to celebrate than a re-election victory. All of that and more are in this week’s Ups and Downs. 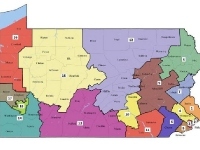 A new F&M poll shows both Casey and Wolf leading by significant margins, an appeal to the U.S. Supreme Court over PA’s Congressional map was rejected, and a Democratic state House candidate backpedals after calling her constituents racist. All of that and more are in this week’s Ups and Downs. New polls shows some Democratic candidates are holding significant leads, while one Dem candidate uses profanity during a debate at a synagogue. Vice President Mike Pence rallied in PA for various Congressional candidates and one Republican County Facebook account deletes some controversial posts. All of that and more are in this week’s Ups and Downs. A gubernatorial candidate garners national headlines and criticism after releasing a Facebook live video, a New York Times/Siena College poll shows a Democrat leading in a moderate district, and the Republican candidate for Senate calls for an attack ad to be taken down. All of that and more are in this week’s Ups and Downs.